This is a great introductory dental marketing lesson on how you can quickly and easily amp up your marketing. 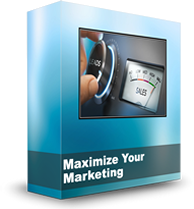 The entire dental marketing lesson and video training tutorial system includes two video tutorials, New Patient Value Software & training video, and more bonuses. You’ll learn how to quantitatively calculate which types of patients you should spend your marketing dollars on. Our “New Patient Value Calculator” makes it easy to do it right.